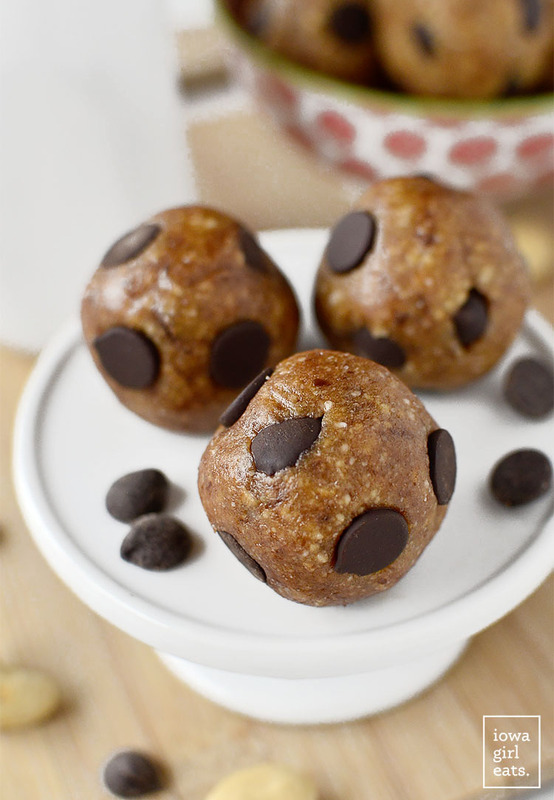 Chewy Chocolate Chip Cookie Dough Bites are naturally sweetened, vegan, and gluten-free. These bites are the perfect cure for a sweet tooth! I’m feeling especially refreshed after taking an impromptu road trip to Minneapolis with the boys this weekend! Ben and I were watching a DVRd episode of Top Chef on Friday night when one of the contestants made a giant batch of homemade chicken sausage, which caused us to turn to each other and say “Butcher and the Boar!” at the exact same time. BatB is one of our favorite restaurants in Minneapolis and their smoked sausages are so good that Ben and I mail-ordered them for our anniversary dinner last year. #weirdos. Anyway, we couldn’t shake the craving and 10 minutes later a hotel room was booked for the next day! We were on the road by 9am Saturday and arrived just in time for lunch at Brasa – a Creole-style rotisserie restaurant. I randomly found it by googling “gluten-free Minneapolis” but it ended up being the best meal we’ve had since Work and Class in Denver last fall – ie the Gumbo Fried Rice Bowl I ordered will definitely be making an appearance on the blog in the not so distant future! 90% of the menu is gluten-free and I was legit giddy to be able to share Ben’s pulled chicken in cream and pepper gravy (top 5 best things I’ve ever eaten,) and all the sides he ordered including cheddar grits, collard greens, and smothered yams. We cannot wait to return! Sociable Cider Werks is five minutes away from the restaurant, so we stopped by their taproom for a drink, and to buy a few crowlers of their awesome, super dry, not too sweet ciders (they have a hopped cider that’s crazy good.) 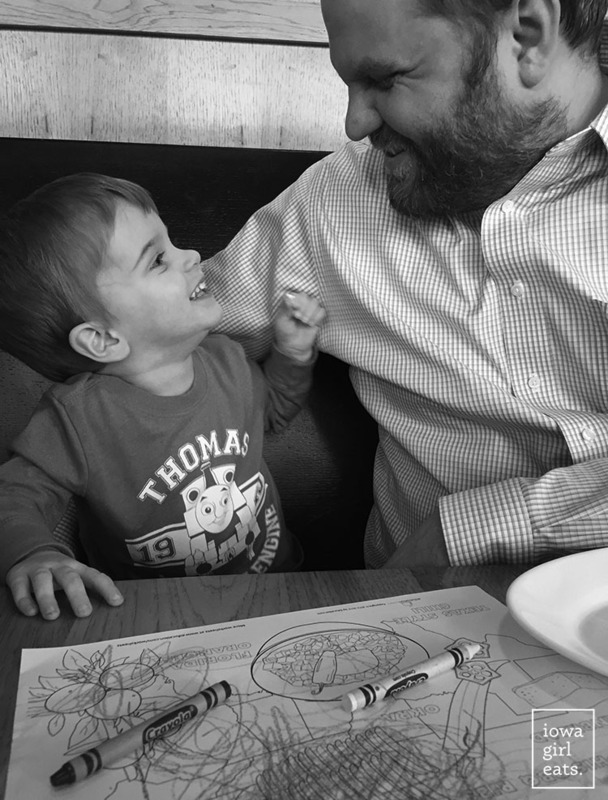 After checking into the hotel and getting Lincoln down for a late nap, we walked a couple blocks to the restaurant that inspired our trip – Butcher and the Boar! 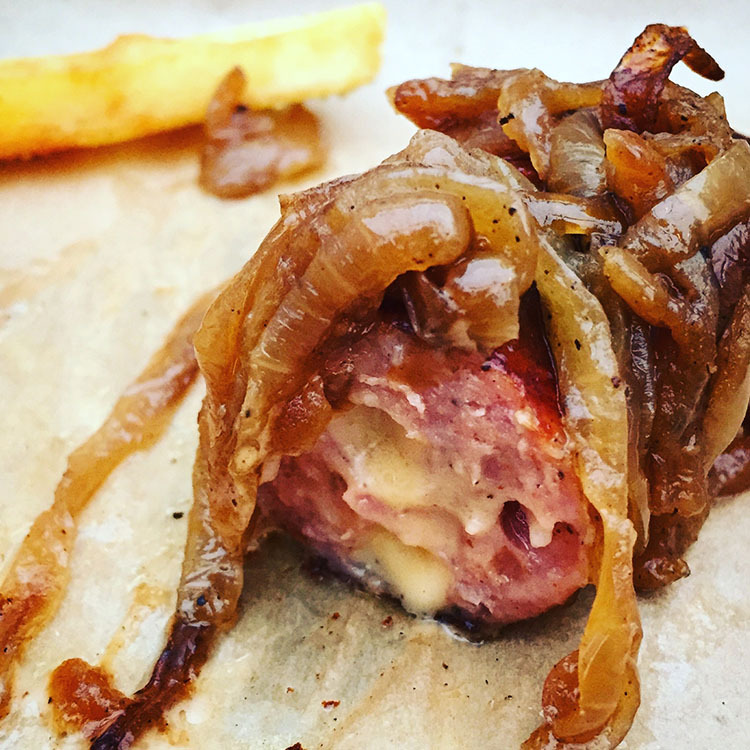 Like I said, BatB is known for their homemade sausages and the smoked cheddarwurst smothered in caramelized onions I ordered was worth the entire trip. Totally regretting not ordering 10 of them! (FYI – the waitress at BatB told us they soak their cooked brats/sausages in beer but we went early enough that they were able to grab an un-soaked one for me and grill it up. The best, the best, the best.) Ben’s brother and his girlfriend met us there and we had way too much fun drinking wine and bourbon, which Butcher and the Boar is also known for, until it was time to get the little man home to bed. We came home Sunday to piles of laundry and a sink full of dishes (we seriously just up and left on Saturday!) but it was totally worth it to get away for a couple days. We needed it – especially because there’s a foot of snow coming our way later this week! Do you ever take impromptu weekend trips? SO so good for the soul! Also good for the soul? Five ingredient (plus a pinch of salt!) 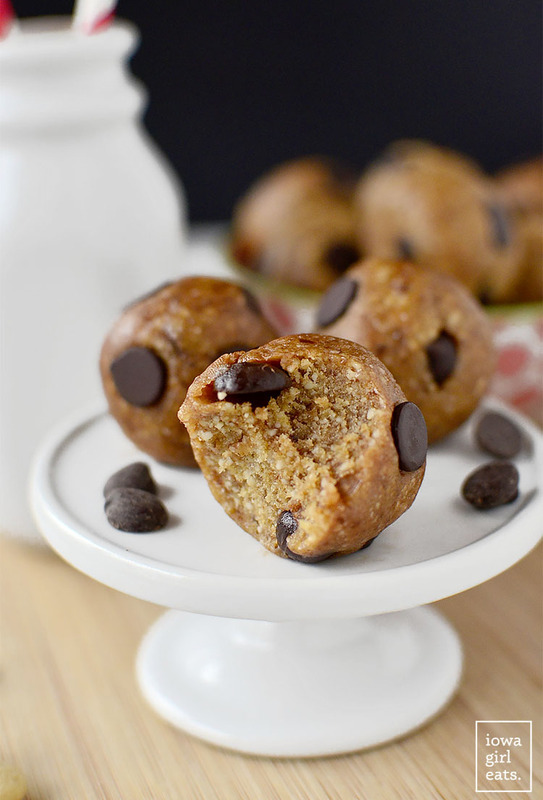 naturally-sweetened CHEWY Chocolate Chip Cookie Dough Bites + a KitchenAid Stand Mixer Giveaway! As we all know, Valentine’s Day is just around the corner, and with it comes being bombarded by ALL THE SWEETS. 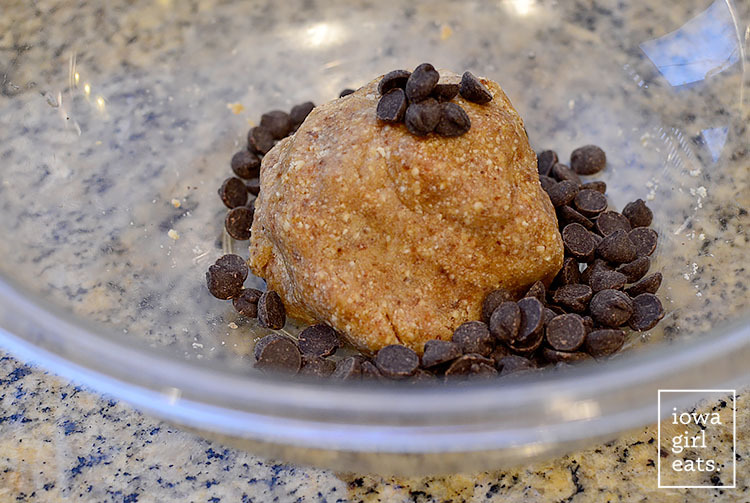 I say enjoy a sweet treat with your sweetie on the holiday but do it more healthfully with my naturally sweetened chocolate chip cookie dough bites that not only taste like Chewy Chips Ahoy (YES,) but are naturally sweetened with dates! I’ve told you I don’t have much of a sweet tooth but I ams till going NUTS for these perfectly sweet and chewy “cookie dough” balls! 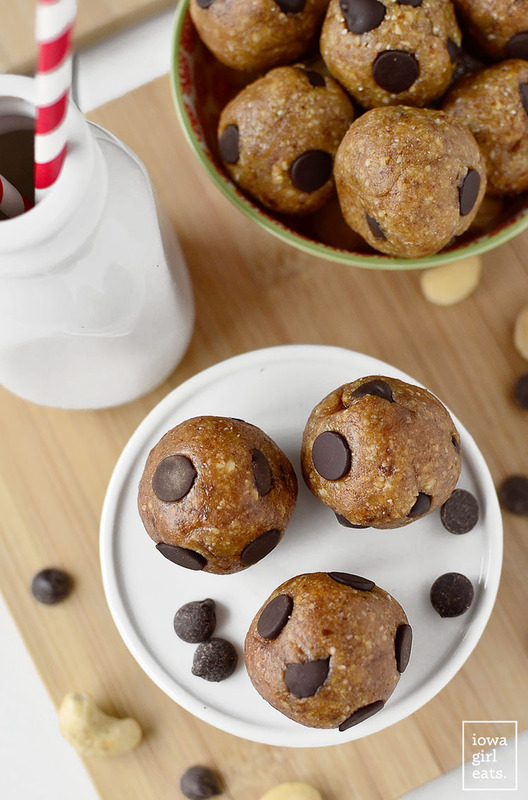 Here’s the scoop: raw cashews are combined with sticky-sweet Medjool dates, vanilla extract, almond meal, and chocolate chips, then rolled into balls which not only look but taste like raw cookie dough. I mean it’s unreal, and they come together in just 10 minutes! Lincoln’s developed a taste for these “sweet meatballs” and I feel zero guilt about him occasionally eating one vs something that’s loaded with refined sugar. Healthier but still very decadent-tasting. I could not love them more. 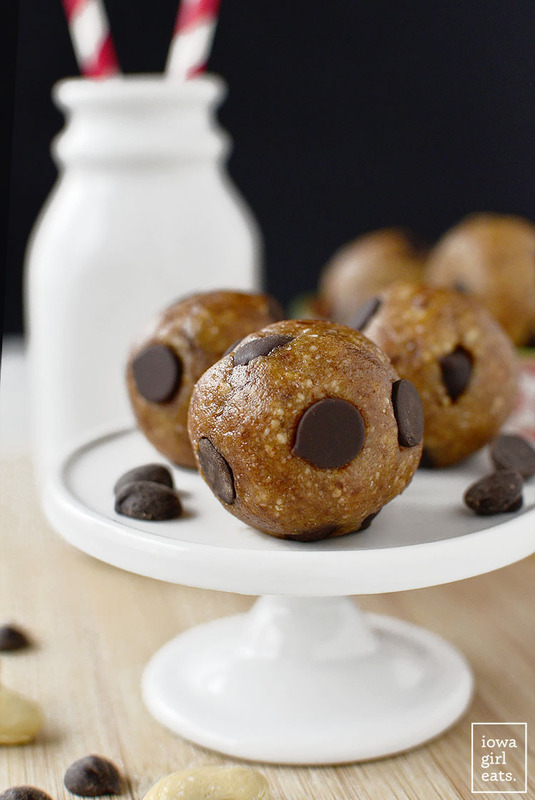 I created these Chewy Chocolate Chip Cookie Dough Bites as part of the Gluten-Free Sweets for Your Sweeties recipe showcase featuring desserts from 14 other fabulous gluten-free bloggers that anyone – gluten-free for not – can enjoy this Valentine’s Day. Be sure to check everyone’s recipes out at the bottom of the post. 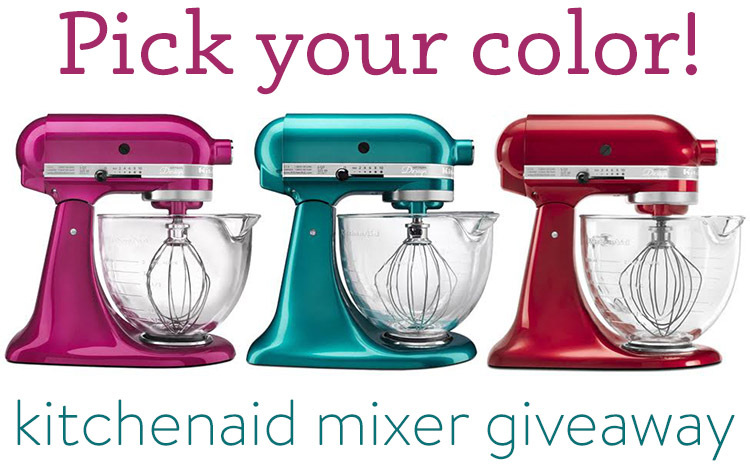 We’re also giving away a gorgeous KitchenAid Artisan Stand Mixer with a glass bowl in any color you like, PLUS a stainless steel bowl to have as back up, so be sure to enter to win below then head into the kitchen to whip up a batch of these must try bites! As I mentioned, these cookie dough bites are sweetened and held together with Medjool dates. Medjool dates are super sweet and sticky, and can usually be found in the produce section of the grocery store. 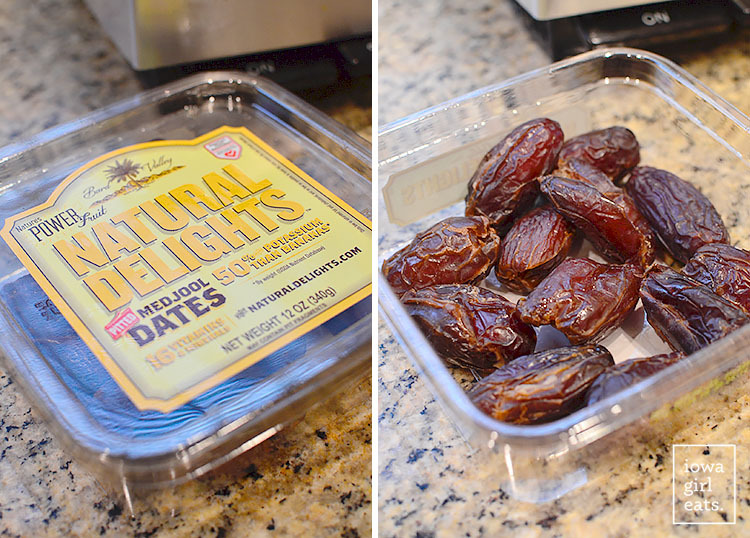 Medjool dates are occasionally sold in the bulk bins but if you’re gluten-free you’ll want to avoid those because of cross contamination issues, plus the dates can become dry and hard in the bins and they need to remain really soft to hold the bites together. 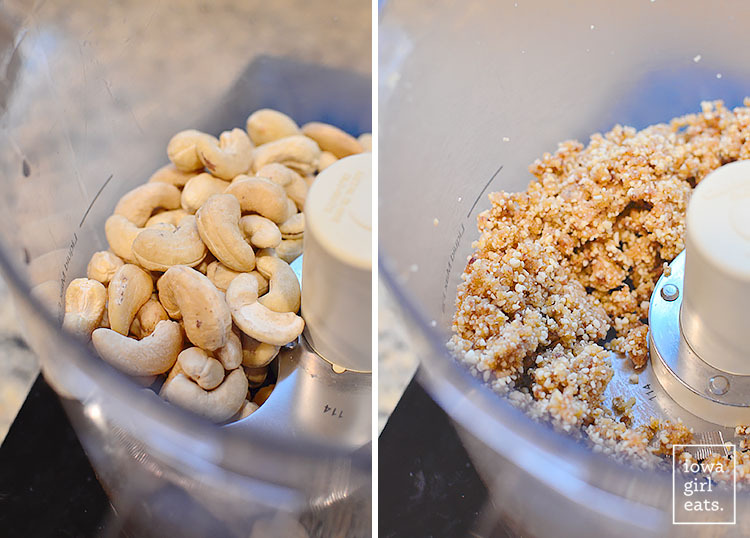 Add 6 Medjool dates to the bowl of a food processor along with 1 cup raw unsalted cashews, 1 teaspoon vanilla, and a pinch of salt, then process until the mixture is smooth and starts to come together into a batter. The mixture should hold its shape when squeezed, like this! Dump the mixture into a big bowl then sprinkle in 1/4 cup finely ground almond meal and mix with your hands to combine. I like Honeyville Blanched Almond Flour, which is being sold at Costco right now, just FYI! Next add 1/2 cup dark chocolate chips and mix with your hands to combine. Last step is to roll the mixture into 10 balls then enjoy right away (dare you not to!) or store in the refrigerator for up to a week. Let the bites sit at room temperature for about 10 minutes after being refrigerated to regain that chewy texture that you’re going to flip for! 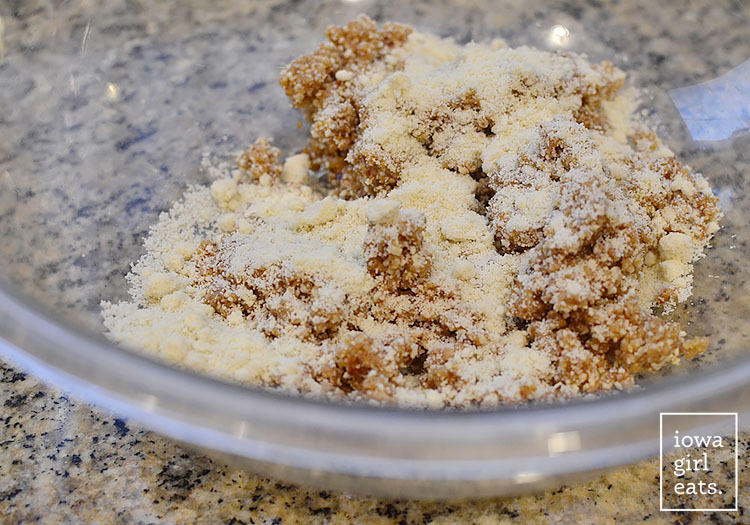 Add cashews, dates, vanilla, and salt to the bowl of a food processor then process until smooth and mixture just starts to come together into a sticky batter. Pour into a large bowl then sprinkle in almond flour and mix with your hands to combine. 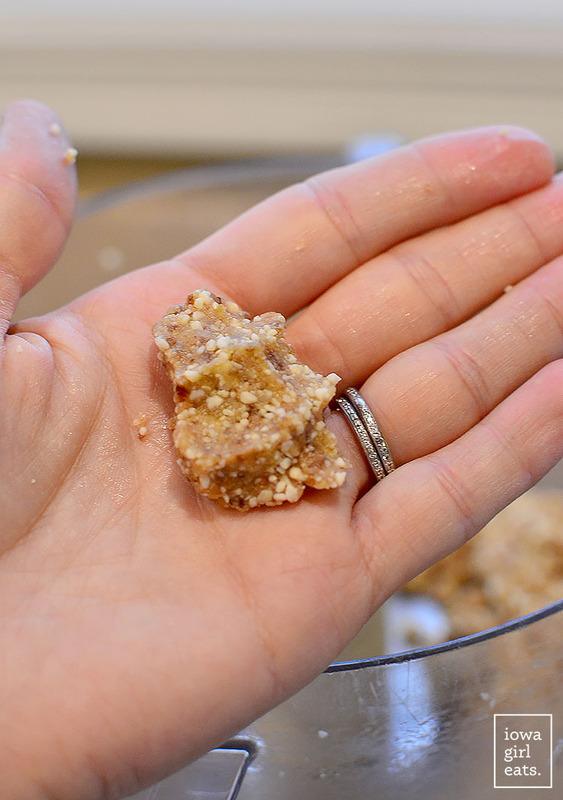 If mixture is too sticky, add a little more almond flour. Add chocolate chips then mix until combined. Roll into 10 balls then store in the refrigerator. I can’t wait for you to try these healthier sweet treats this Valentine’s Day, or any time of the year! 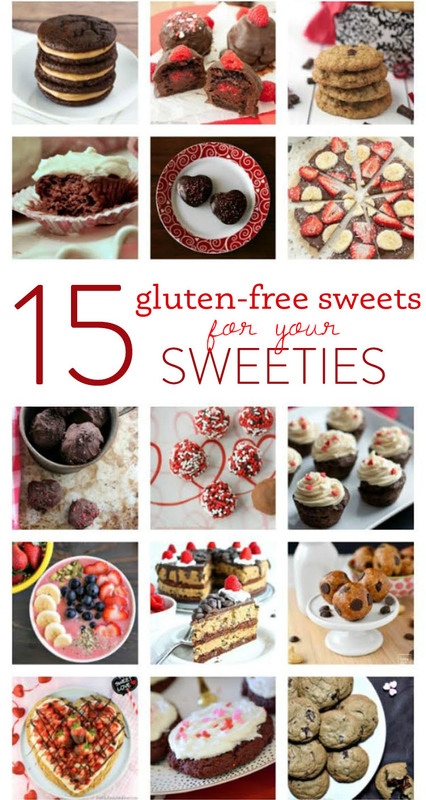 As I mentioned, I’ve teamed up with 14 other gluten-free bloggers to bring you 15 Gluten-Free Sweets for Your Sweeties to enjoy this Valentine’s Day. 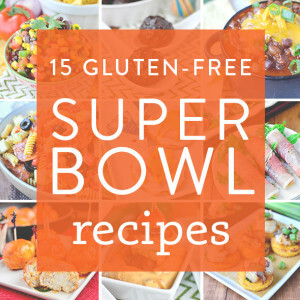 Check these yummy recipes out! The ladies and I are also giving away one KitchenAid Artisan Stand Mixer with Glass Bowl PLUS a stainless steel bowl to have as back up. You pick the color! Contest opens Monday, 2/1 at 8am central time and closes Wednesday, 2/10 at 11:59pm mountain time, and is open to U.S. residents only, 18 and older. Winners will have 48 hours to respond before a new winner picked. I will literally wet my pants if I win the Kitchen Aid Mixer! I never got one when I got married and would use it all the time =) Be back when the contest opens. Until then, I should whip up a batch of these c.c.b.’s. I think it’s the chocolate chips that just make me happy, they just bring out the kid in me and harken me back to happy baking memories. My daughter just turned 6 and I’ve never made cookies with her because I know the traditional ingredients are just so bad! (no one call c.p.s. on me, ok!!) But these I can feel good about making. And you’ve made them simple, not too many ingredients that I gotta run over the store to find with a cranky toddler in tow. 1. I cannot wait until our boys are old enough for an impromptu weekend trip to somewhere other than my parents’ house an hour away. Okay, I can because I want them to stay seven months old forever, and actually quite enjoy visits to my parents’ house, but you know what I mean. Your quick trip looked so fun! 2. These “sweet meatballs” are exactly what I needed on this Monday morning. 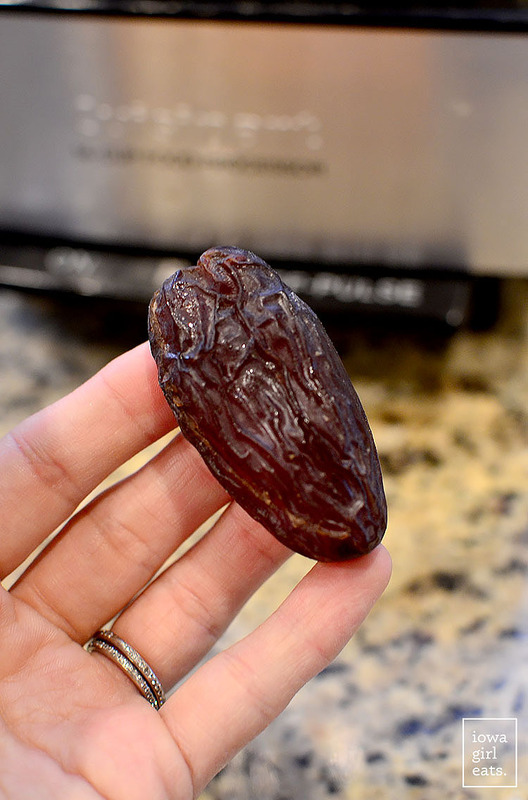 Picking up dates after work tonight! 3. Dates kinda look like cockroaches, don’t they?! These look great! They remind me of some homemade Lara bars I made awhile back, except these are cuter, more versatile, and seem quicker to whip up on a whim! 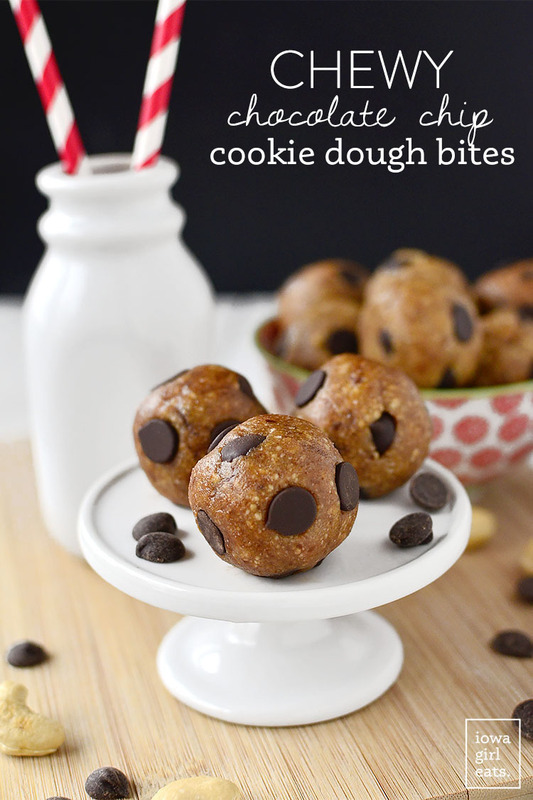 There are few things I love more than raw cookie dough, so it is nice to have something to kick that craving without feeling guilty! Yummo! Just what I need for my sweet tooth cravings! These bites look delicious- love small, easy to grab treats! 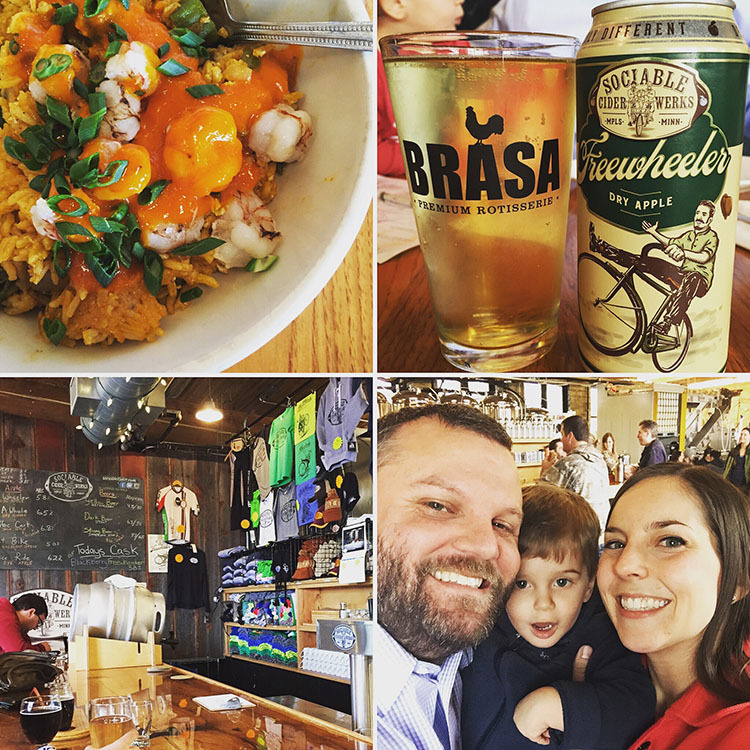 Also- love brasa- One of our go-to restaurants ! LOVE that you just literally left! I have such a hard time doing it but want to embrace the spontaneity more. Little man just turned one (sob!) so we’re escaping for a quick ski trip with friends but it can be hard with a little one. You’ve inspired me to keep trying to make those moments happen! Thank you for this idea! I’ve recently had to make changes to my diet for some allergies and this will be perfect. I need a spontaneous weekend trip! 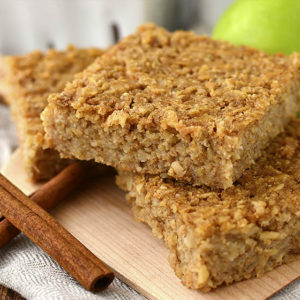 Looks like homemade Lara bars, but better because you can see the ingredients going in. 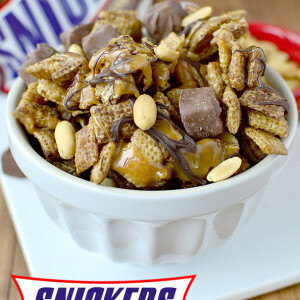 What an awesome recipe…can’t wait to try! And thank you for the amazing kitchen aid give away.. I could cry just thinking about all the yummy food I would make ? These look delicious. We used to drop everything and go for an impromptu weekend in Chicago occasionally, always fun. Thanks for the great giveaway! I have a massive sweet tooth and am trying desperately to lose weight and cut sugar from my diet, so this is just what I need!! I’d love a quick getaway like that! With two big dogs and a son playing hockey we tend to plan ahead more than impromptu. So sweet and so simple! I’ve heard awesome things about BatB! I think its time to talk the hubs into an impromptu trip of our own in the upcoming weeks! I have been reading your blog for years, and your recipes are among my favorites. I used to live in Des Moines, and when you talk about local restaurants and parks, I just smile. I would love the Kitchen Aid Mixer to help me try out more new recipes. Thanks for your wonderful blog! Great giveaway, thanks! I would love to win a mixer, it’s the one kitchen gadget I’ve been holding out on because of the price. 1. These look amazing – I love anything chocolate-y!! 2. I would love love love a kitchenaid – fingers crossed! 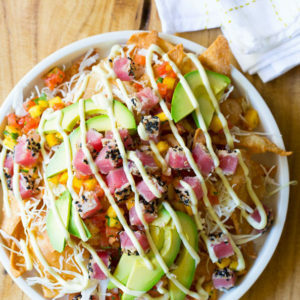 Yum, these look incredible and a Kitchen Aid Mixer is the ultimate kitchen tool! I’d love to have one! So exciting!! I just got married and this is the one thing I did not get and wanted so badly! Um, yes please! I love sweet treats that are naturally sweetened with dates. I haven’t tried adding almond flour before, but what a great idea! Sounds like a great weekend. Thanks for the restaurant recommendations. We will have to try them next time we are in Minneapolis. Remodeling my kitchen and would love a new mixer.. Love all your recipes and it is fun to watch Lincoln grow. Oh I need I mixer for my best friend! This would be perfect for her. I really, really hope I win this giveaway. The only kitchen appliance missing in my life is a RED Kitchen Aid mixer. I always lovingly stare at them each time I am in Williams Sonoma. Pick me! 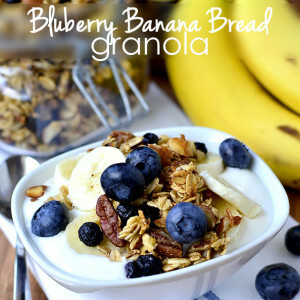 what a wonderful recipe – i will be making this today!! These look easy and delicious. My friend was just diagnosed as Celiac and is having a tough time with it. I’ve already shared your blog with her so she won’t be surprised when I bring these over to cheer her up! Yum! 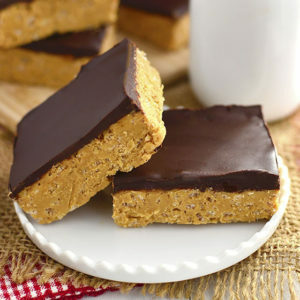 Larabars are my go-to dessert dupe – these look great too!